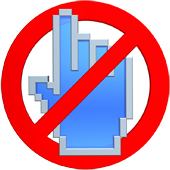 Buy No Hands SEO - Get 10k Free CAPTCHAs! As the first truly fully automated SEO tool No Hands SEO will save you hours every day that you would normally spend on backlinking. Start No Hands SEO => "Settings" => "Unlock Advanced Settings => Tab "More" => Select "9kw.eu" from the Captcha Service drop down menu => insert your 9kw.eu api key in the field "API Key" => "Save".